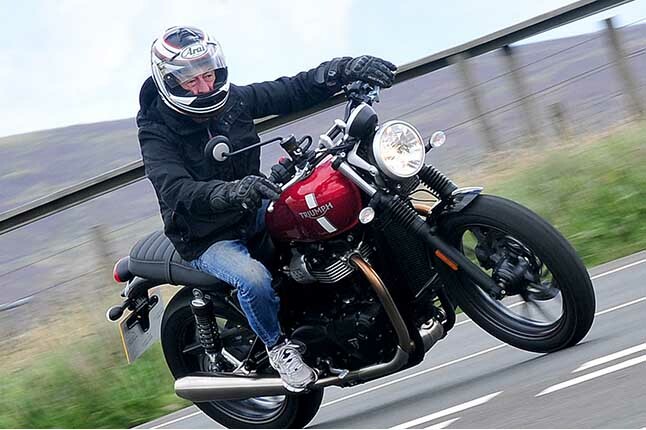 I was feeling excited about STREET-TWIN that gives me a pleasant feeling, enjoying somewhat over pace and enjoyable riding. While running, I was very curious that "How does Steve feel about this motorcycle?" Soon a second time gesture language was doing. 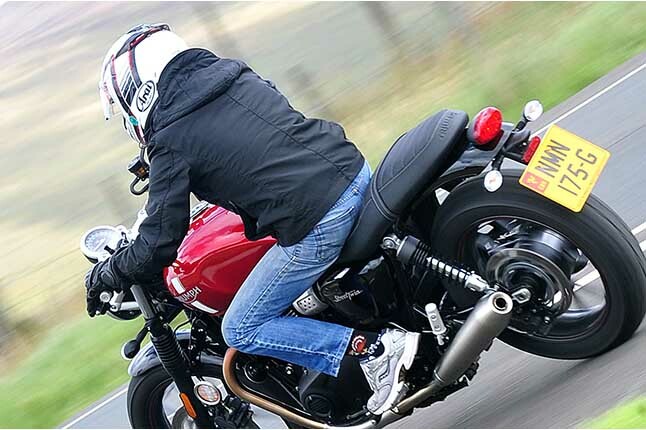 The first time and the second time, the gesture language was about the acceleration performance of STREET-TWIN. After that, every time the scenery, the angle of the corner and Kant changed, scenes where we talked with gestures many times came. 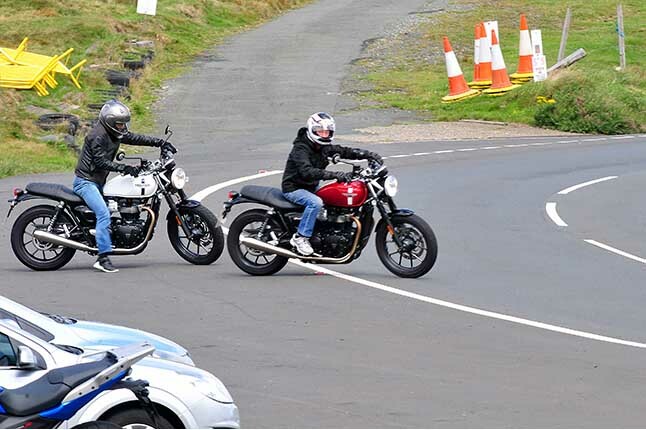 All of these showed that STREET-TWIN’s ability was extremely high. 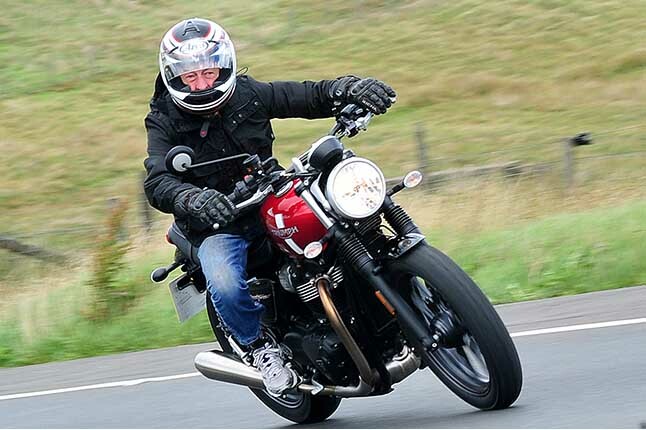 It is a STREET-TWIN that follows a classic style, but it is a surprisingly well - balanced bike. 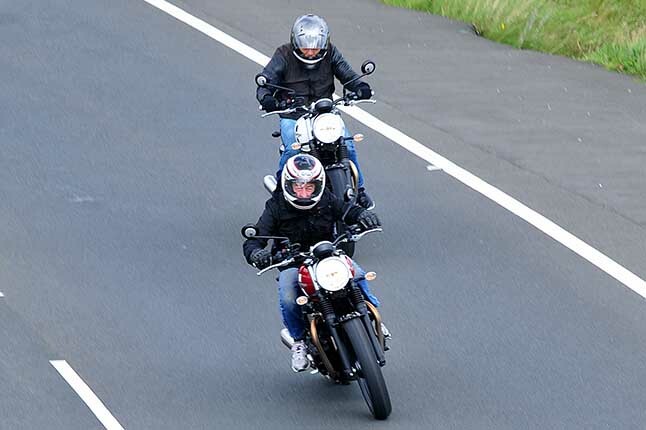 It would not be too much to say that it was extremely large due to the performance of STREET-TWIN that we were able to enjoy riding with Steve from the bottom of my heart. 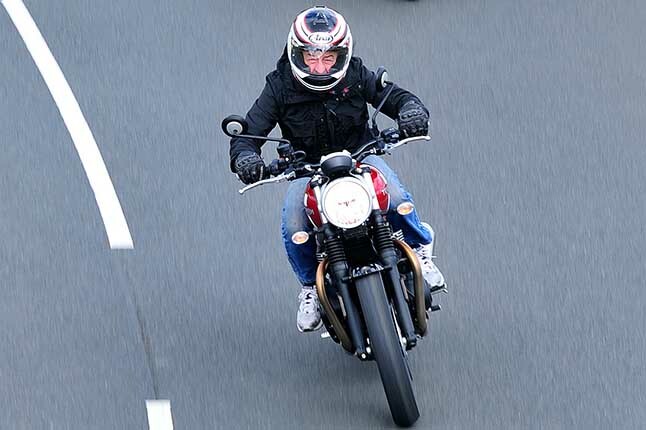 Despite being this STREET-TWIN riding for the first time, despite having tasted the impression of late for the first time riding, I also had a sense of being a long-term companion my buddy. I also had such a feeling, I remembered the past events as my riding, and was taken hold of by an indescribable sensation. I enjoyed TT-COURSE RIDE while feeling that it was also thanks to Steve, Jason, and STREET -TWIN, while feeling somewhat sentimental. Steve who took off the helmet when he stopped at the bungalow on the third lap turned to a "very good fun"　his said With a full smile, so I felt happy even if it was flattery. 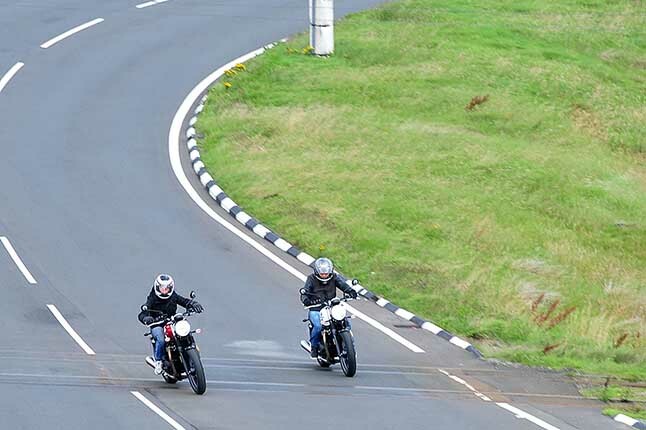 And it we were exciting with the talking that STREET-TWIN is really good! Three motorcycles that passed the spot just at that timing suddenly stopped, U-turned to here and stopped. Besides, the riders came here and talked to them. 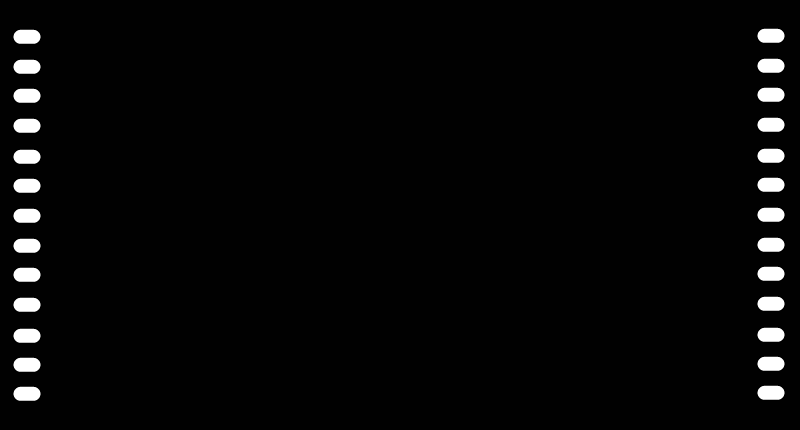 The content of the story is this. I was overtaken by two people and I was surprised to chase after it was a triumph. 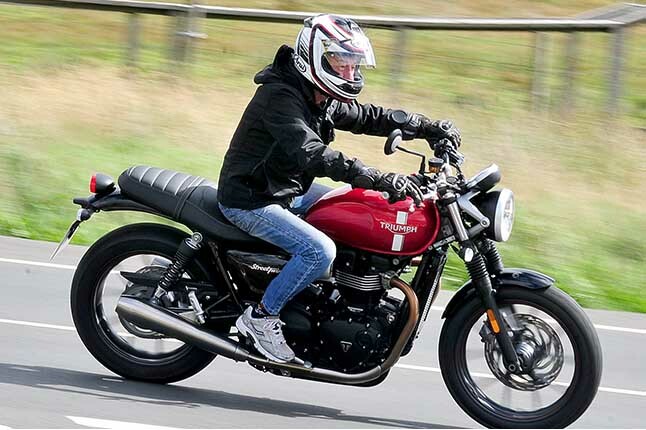 Is that triumph a normal standard? Actually I thought that I wanted Triumph from before but I could not make up my mind to change motorcycle to Triumph until today. That was such a story. 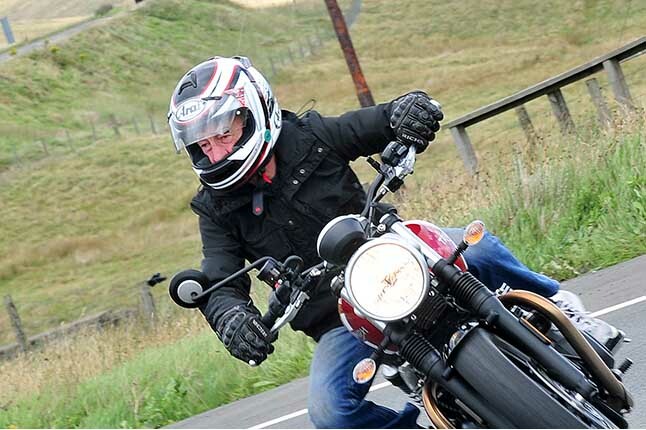 Then Steve began to explain the driving characteristics of STREET - TWIN. It is neither nor an owner, neither a dealer nor a salesman, but his explain it with enthusiasm (strictly speaking, it was said that he was proud of STREET - TWIN). Either way, these riders chasing this is a tourist who has visit to the Isle of Man, but I do not recognize that Steve was a great Rider. They do not know that Steve is a great TT rider. 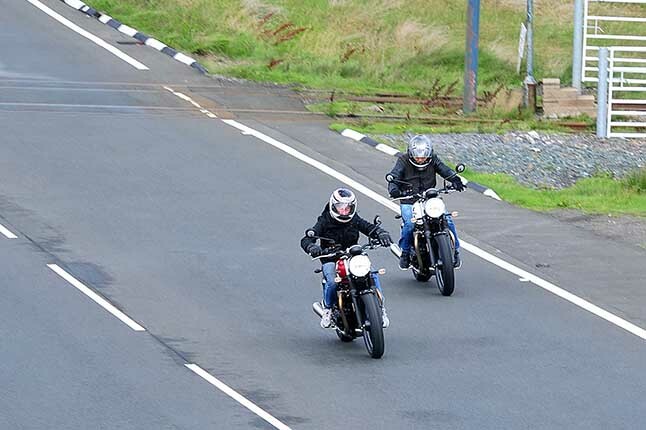 That is why it can be said that he was very moved by the STREET - TWIN’s running. 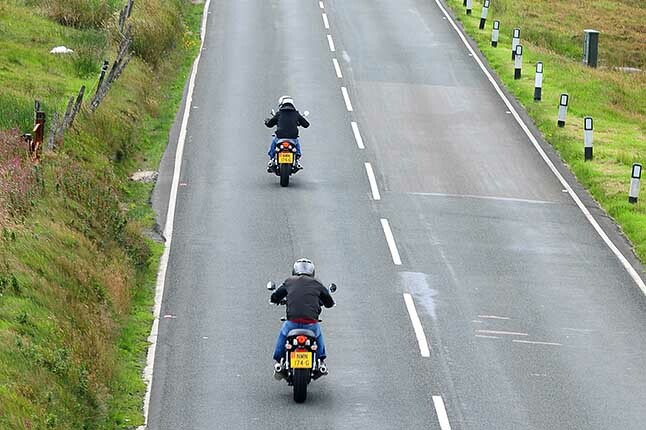 But, do not think that the reason why they were moved mind by the STREET - TWIN is due to our running or Steve’s skills. Of course Steve was a great rider, and it is no doubt that it is still an excellent rider. 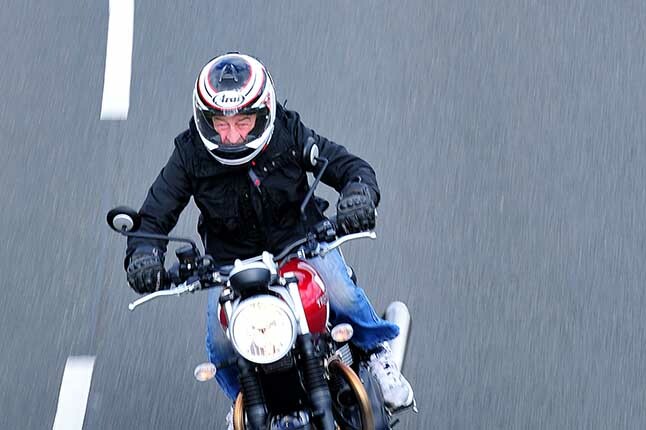 However, it is the STREET - TWIN that has the splendor of being impressed even by Steve. On such a conversation, the staffs of Manx who was waiting in the bungalow for shooting also joined the story. The staff also touched the impression that he was watching on the spot, but as for that story, it would feel more realistic to have him / her comment read, so I will not touch it on this occasion. Soon after that conversation ended, we parted with the riders who chased us. Saying goodbye "Next time will come with Triumph so let's run together!" he is crossed fingers and went away. As a result of trying a little running check near the bungalows, STREET-TWIN further appreciated the splendor. After that, we will start the rest of the last lap from the bungalow to the grandstand. When leaving the bungalow, at this time, Steve saying "comes follow me!" and departed ahead of time. Although I attempted to go on a catch up, I cannot go with it because I have too much ability difference (laugh). This is also the usual iteration. Viewable distance it is my best does it to capture Steve. 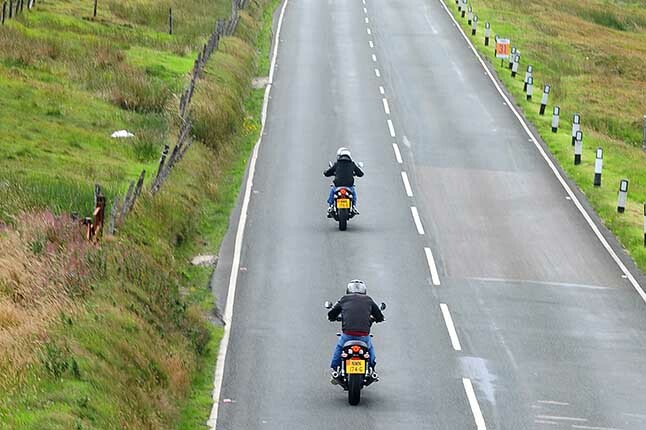 This can be said to be a benefit of running in the same motorcycle. At the same time Steve is saving speed and I can capture Steve in a visible distance. As I prediction, Steve who had preceded me, dropped the speed before the Grand Stand and took care to make sure I catch up with it. And the two street twins run in parallel, passed the goal line, and stopped. I wanted to say "I want to run more!" Although I wanted to say ... but the temperature went down rapidly and it began to rain, so it was good that we could finish loading to the van at the best timing! It’s　just my real intention. This time I tried 3 LAPs of TT-Course, but the point that this lap is greatly different from the laps I went in the past is that it is not a run that is running because of machine settings; it is not a wake test of a racing machine. I’m very Enjoy private time. This is my first experience private LAPs of TT-Course. The only thing that is the same as before is running with Steve. That is why I think there are aspects that I enjoyed very much. 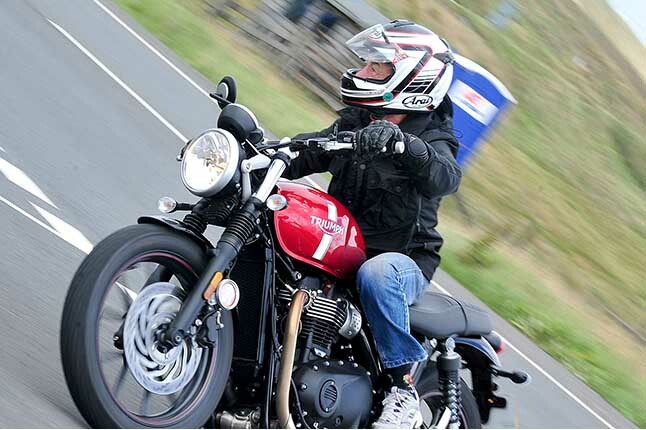 However, being the biggest factor I enjoyed very much was that I ran with the same triumph as Steve. The reasons why i can tell you everyone is as follows. Steve is an extremely excellent rider. It is the ability to safely pull riders running together, sense and compassion. My subjectivity, perhaps as everybody run with Steve, everyone changed my run. It got better my riding skill. The ability has gone up by one level. You will feel like something like that. It is Steve's power and kindnesses that will make many people feel it and pull it safely. Approximately 3 hours with a bungalow talking. It was TT-Course RIDE so many times, but which I enjoyed the most in my life this time ride.